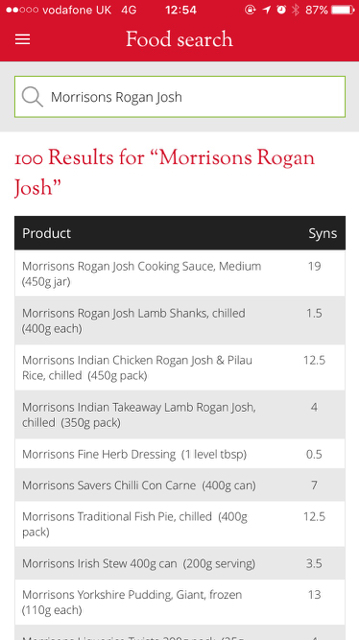 Can anyone tell me what the syn value is for Morrisons jar of Rogan Josh cooking sauce please. Oh wow that's a lot! Think I will stick to the Jalfrezi. Sauces in jars can be very high in syns. However, if you are splitting between more than 2 people, it isn't as bad as you divide the syns up per portion. Find more posts on curry, jar, josh, morrisons, rogan, sauce, syns.